Recently I’ve had a few people ask me how to delete a batch import (you can do it from here). That is, they imported a batch of contacts from LinkedIn or Gmail Contacts, and then found they had a bunch of garbage in JibberJobber, and wanted to delete all of the contacts from that import all and start over. This happened to me after we did the Gmail Contacts sync, which is really cool in concept, but it dumped hundreds of garbage records into my database. Sadly, I don’t do the Gmail sync anymore… I just don’t want all of that crap in my system. With Gmail, I have a bunch of email addresses in my address book (aka Google Contacts) that are just garbage. Someone I am not in contact anymore, or addresses that are system generated but there is no human behind them. I have more than one “support@_______.com” address in my Contacts! What’s more, and this is exemplified better with LinkedIn, just because I waived at someone doesn’t mean I want them in JibberJobber. If I accept you as a first degree contact in LinkedIn, does that mean we will ever have a conversation? Not necessarily. Of the thousands and thousands of contacts in my LinkedIn first degree network, there are thousands and thousands that don’t need to be in JibberJobber, ever. Why do we have an import/sync function, then? Frankly, because “everyone” wanted it. Other CRM systems have it, and people don’t like the idea of entering Contacts one-by-one. It really is convenient to click a few buttons and have all of your contacts from one system in JibberJobber. I think, also, that people like coming in to JibberJobber with hundreds or thousands of contacts that they’ve imported, rather than none. The feeling is that you have a network vs. you have no one to talk to. I rarely import or sync. I want to control how contacts get into my system. Hands down, my favorite way to get data into JibberJobber is with Email2Log. Why? Because if I email you, there’s a good chance I want to actually have some kind of relationship with you. I can control who and what gets into my system easier than I can with an import, which is likely to import junk contacts. If I were to start fresh today, using JibberJobber for a job search, I’d skip the import and just put people in manually or with Email2Log. Honestly, that’s what I’d do. Look at every single record and delete the record (row) of each Contact that you don’t care about, don’t want in JibberJobber, don’t recognize, etc. While you are there, it wouldn’t hurt to remove any columns that you don’t care to have in JibberJobber. What we used to say in the 1900’s was “garbage in, garbage out.” Clean up your list before you import records… and you’ll have a much nicer database. If you do import garbage, you can do what some people want to do and delete the entire import. This is great, unless you have added more information on a Contacts, or created Log Entries and Reminders. Or, you can do what I do… just delete the bad records one at a time when you come across them. This is a more passive approach, and you have to be okay to see bad records every once in a while… this is fine for me. For a while the little icon next to an email address wasn’t working right. We swapped it out with a new process… instead of right clicking the old icon, now you just click on the copy icon and it will copy the email address (and name) to your clipboard. Super simple, but just a bug fix for something that hasn’t been working for too long. 1. Stop, calm down, take a moment. One of the worst things you can do is react to panic and fear. I know unemployment can be one of the scariest and most emotional situations of your life. Let me encourage you to really take a pause, calm down, get in the proper state of mind for what could be a complex but doable process. But please, go into this with the right mindset. It is critical that you know what your target is, and specific job titles is part of your target. In my 2006 job search I listed two roles I wanted, and in the course of my job search I added a third (more exciting) title. Your list can change with time, so don’t worry about committing to any particular title, but you should have a list of titles to pursue. Eventually, this list should be whittled down to something manageable (instead of including every job title that you are qualified for). You must have a list of target companies where you want to work. This will help you in various ways, including focusing your networking efforts and search on the right companies. 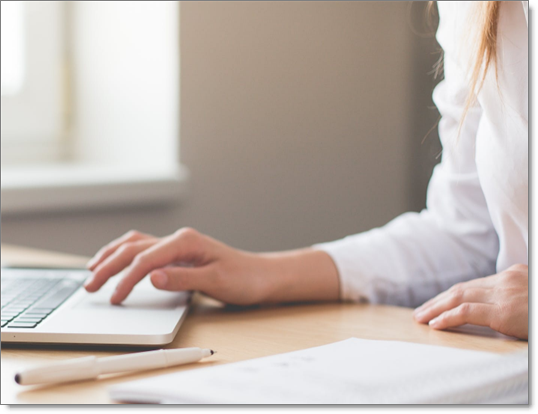 Also, when people ask how they can help you in your job search, you could say that you are looking for introductions to specific target companies (I suggest you name three or four specific companies). This is one of the harder lists to make because we tend to second-guess whether people should actually be on the list or not. You think of someone, then before you write them down talk yourself out of listing them for one reason or another. Let me encourage you to skip the second-guessing, and just list EVERYONE that you can think of on your network contacts list. You might not communicate with all of them, but as your job search goes on and on, it might make sense to reach out to people who you had earlier passed over. I could make an entire list of your job search marketing material, the most obvious of which is your resume. In addition to your resume (and at least one general cover letter), you need to have some basic statements down. These include your Me In 30 Seconds (aka Elevator Pitch) statements (you could have various statements for different audiences) as well as a response to “tell me about yourself?”. Expect to use these statements regularly and refine them almost every time you use them. No doubt I recommend JibberJobber (I’m the creator of JibberJobber) instead of job search spreadsheet. Whatever you use, know that this organizational system is a central part of your successful job search. I quickly outgrew my spreadsheet in about two weeks, as do many job seekers, because as a job search goes on you add more contacts, companies, and jobs, and you want to log interactions between any of those records. Again, I could write a great deal on this, but suffice it to say you’ll need some system to stay organized. This is one of the hardest parts of the job search for many people because this is where we start to communicate with people. We generally like to help people, not ask for help from people. But we need to work through those feelings and ask our contacts for help. Please, do not ask them to “review your resume.” Imagine you get ONE request from each friend. Do you want to use your one request for a review of your typing? NO. Purposeful requests include meeting (in person or on the phone) or asking for introductions to people who have your target titles or work at your target companies. Each purposeful request changes based on who you are making the request of, but please don’t waste your first (and maybe your only) request with something trivial. These are my seven steps to start your job search. Did you notice that I didn’t include networking with recruiters? Perhaps you should network with recruiters, but in my experience, it is generally a waste of time. Focus on the steps above, iterating and going through each of them as you get closer and closer to your dream job. My goal would eventually be to have as many informational interviews as I could get, which is a very powerful job search strategy. Each of the steps above can lead up to a great informational interview strategy. One of the things I learned at my last company was the power and importance of helping new users get up and running. In industry this is called “on-boarding” (which sounds a lot better than off-boarding, right?). I hope this is helpful for you. Even if you’ve used JibberJobber for a while, it might be a good sync to know what I think is important as far as using the basics of JibberJobber. I took some time to update the orientation videos. The most important thing I did was reduce this from 90 minutes to less than 30 minutes (yeah!). The videos are, of course, also updated based on the changes from the last orientation, which are pretty significant. You can find this series in it’s entirety below and in the JibberJobber Video Library (login, then Videos / JibberJobber Videos). When I work with my Product Manager, Liz, and the developers, my consistent theme is to have JibberJobber load faster and to have the UX be more intuitive. This might seem like an easy task, but it’s really a combination of a thousand easy tasks… which is why we can’t just get this initiative done all at once. 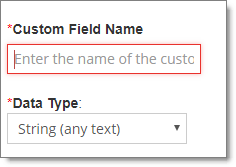 You can add any of the four data points (First Name is required, as usual), and then it quickly saves and doesn’t change the page you were on (which is great! ), or you can click on More Options and you can go to the big Add/Edit page. This makes the user experience much faster, and more intuitive (because you are now asked for four fields instead of over 20), and the code is a lot smaller so it’s faster to execute. Expect to see more of this simplification and cleaning and speed improvement! A few months ago we bit off a project that we had been putting off for years because it was enormous. Well, we thought it was enourmous. When we rolled it out the first time we found out just how enormous it really was. And then we had to push it out the second and the third time… ouch. Many thanks to all of the JibberJobber users who stuck with us during this painful project. This will “go down in history” as one of the biggest and most painful projects we have ever tackled. Did I mention, THANK YOU to those who stuck with us and helped us through this? Alas, a few weeks we finished, and we think we are done now. 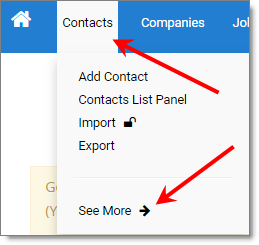 This project started small “I just want to order by my custom fields on List Panels.” Turns out, this project would touch (in a big way) our database, every Detail Page, every Add/Edit page for Contacts, Companies, Jobs, of course every List Panel, etc. And, as icing on the cake, we would run user data through a conversion to make the types work right. Lots of landmines in this “little project.” And we stepped on a few. But no data was lost, and we had some exceptional (and exceptionally patient) users help us through. Because of this, you can now “order by” on the List Panels. Seems simple, right? It would have been if we architected it this way a decade ago. If in doubt just leave it as a String… that just means regular text. But if it is a number use Integer (or one of the other options). I’d use String and Integer for probably 95% of my custom fields. That’s about it… the rest is not that visible, except the beautiful ability to simply order by a custom field in the List Panel… simple enough, right? Recently I’ve gotten a few emails asking how to delete all of your records and just start over. This might be because you did a job search five years ago and you just want a clean slate (there’s value in keeping the records from five years ago), or because you did an import from LinkedIn or Google Contacts and didn’t realize how dirty your data was. 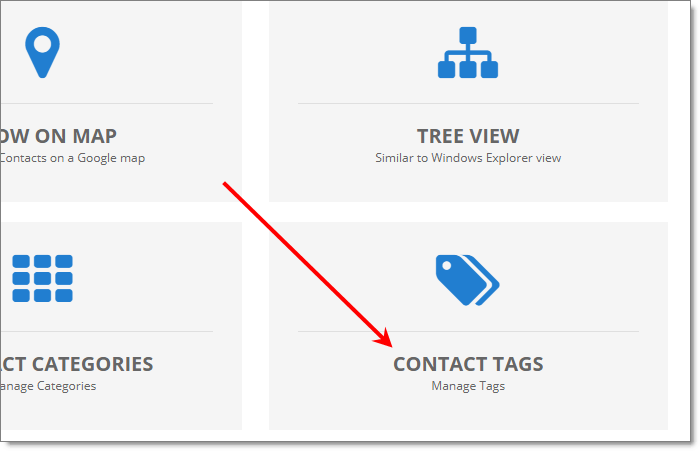 From the List Panel you want to clean up (say, Contacts), choose the Manage Columns icon and then show 255 records at a time. At the bottom of the List Panel you’ll see a DELETE icon. Click that and you are on your way to cleaner data! Check out this post with step-by-step pictures. Let’s say you have imported a few thousands records from a csv file. You can delete every one of those records in one fell swoop. 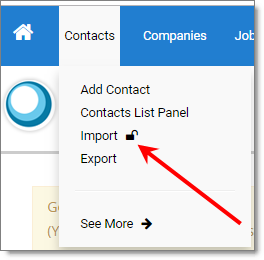 Mouse over Contacts, Companies, or Jobs, and click the Import/Export option. Here’s a post with step-by-step pictures for deleting by import.